When your septic system or septic tank needs pumping, cleaning, repair or maintenance, Big Bexar Septic provides septic service and septic tank installation San Antonio can count on. Commercial and residential real-estate septic tank inspections are no problem either. Big Bexar is known amongst their peers as the Drain field repair specialist and specializes in salvaging neglected septic systems. An overflowing septic system needs urgent attention and the fastest septic tank pumping in San Antonio also happens to be Big Bexar Septic. Often times a septic systems maintenance is neglected. A septic system maintenance contract will help you stay on top of your septic systems maintenance requirements. Why should I call Big Bexar Septic for my Septic Tank Pumping? We believe in delivering the quality our clients deserve and have years of experience behind our licensed and experienced technicians. Our reputation has been made by designing reliable septic tank systems and delivering the kind of septic service in San Antonio, that will be sure to leave you satisfied. If you want the best septic tank pumping San Antonio has to offer call now, or contact us. What are Aerobic Septic Systems and Conventional Septic Systems? Big Bexar Septic provides septic tank repair services, septic tank pumping, cleaning, and maintenance for both a conventional septic system and aerobic septic system types of septic systems. Lets not forget low pressure dosing septic systems either. All three types of septic systems come in different dimensions and each has its advantages in certain situations. 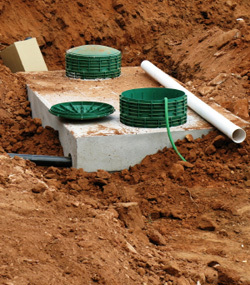 Our septic tank systems are designed to last in South Texas. 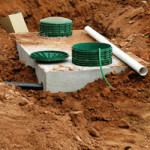 Why should I get a septic tank system? If you are looking for a hilly-efficient, underground waste water treatment system, you are in the market for a septic tank or septic system. Septic systems are simple in design, which makes a septic tank system less expensive to install and maintain. Septic tanks in San Antonio or Rural Bexar County are also friendlier to the environment by using time and natural processes to treat waste water onsite, without miles of sewer lines. The process usually takes place in a home owners backyard. What type of maintenance do septic systems require? Septic tank cleaning, septic tank pumping and regular septic system maintenance are our most commonly encountered septic tank service calls. Big Bexar Septic offers Monthly, Annual or Quarterly septic system maintenance agreements. Septic tank pumping is required maintenance and potential damage to the septic drain field and the septic system far exceeds the cost to perform this maintenance task. After a septic tank is pumped it is recommended that a septic tank cleaning take place at that time for economy’s sake. This entry was posted in Septic System Maintenance Contracts, Septic System Repair, Septic System Service, Septic Systems, Septic Tank Cleaning, Septic Tank Installations, Septic Tank Pumping and tagged septic service San Antonio, septic system cleaning San Antonio, septic system installation, septic system installation San Antonio, Septic System Maintenance Contracts, septic system pumping San Antonio, Septic System Repair, septic system San Antonio, Septic System Service, septic system service San Antonio, Septic Tank Cleaning, Septic Tank Pumping by Jason Hallinan. Bookmark the permalink.